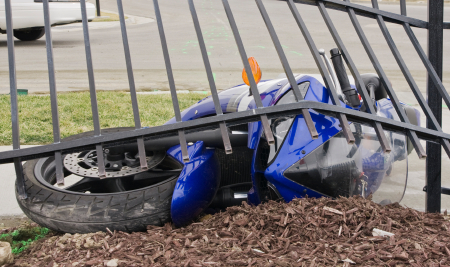 If you’re a bike rider and are hit by an uninsured motorist, it is very possible that your insurance policy written on your car will cover your injuries and losses on your motorcycle as well. This can be great news for you — if you know about it. The problem we’ve been seeing is that bike riders are not aware that they are covered, and their insurance representative is not telling them. This type of coverage “goes with the person, not the vehicle” — that means if you purchase uninsured motorists coverage on your car, you automatically have it on your motorcycle. You don’t have to buy it again on your bike. So whether you are driving your car or riding your motorcycle, you are covered if you are hit by an uninsured motorist. Some insurance companies, like Geico, write one policy to cover all your cars and a separate policy to cover motorcycles. So if you have a bike wreck and are dealing with your insurance representative — especially if it is not a local person — the insurance company might not realize that you have coverage, because policy numbers would be different and not necessarily tied together. Working with a personal injury lawyer can make this complicated process much easier on you. When you decide to let Carr & Carr Attorneys assist you, we will basically take all of your paperwork and then you don’t really have to do much after that except focus on getting better. We will work with the insurance company people on your behalf, eliminating daily calls. We will research your policies and determine what coverage you have and make sure it is used to benefit you in the best way possible. If you are not represented by an attorney, your insurance company has a responsibility to make you aware of your coverage. Unfortunately, we’ve found many instances recently where bikers were not notified of their existing coverage — and had we not helped them, the injured riders would have assumed they had no coverage to help pay for their injuries and cycle repair. There are two terms that are frequently used interchangeably — uninsured motorist coverage and under-insured motorist coverage. They are abbreviated as UM/UIM. This type of insurance can pay for injuries to you and your passengers if you are in a wreck caused by a driver who does not have insurance and is found legally responsible for the wreck. If you are a biker and have been hurt in a motorcycle wreck, call 1-877-392-4878 now to talk to an attorney at Carr & Carr. Or contact us by email and we’ll get back with you in just a few minutes.